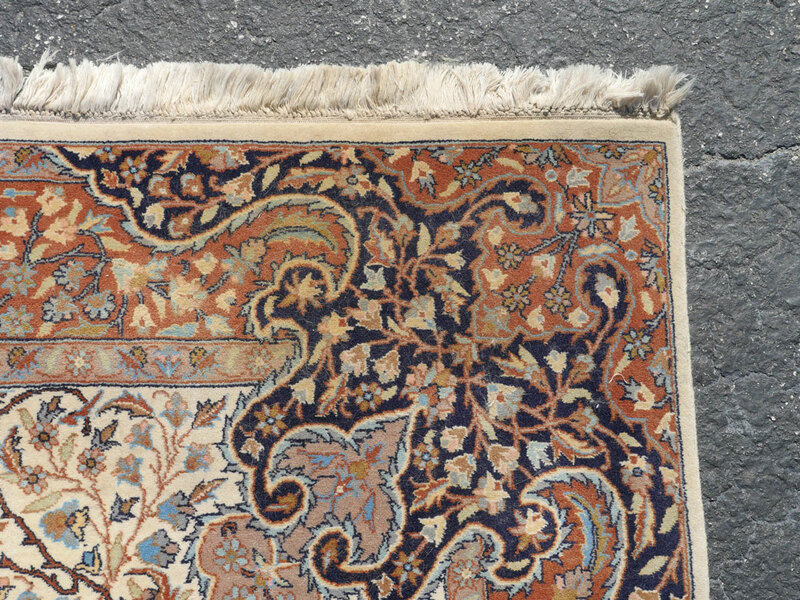 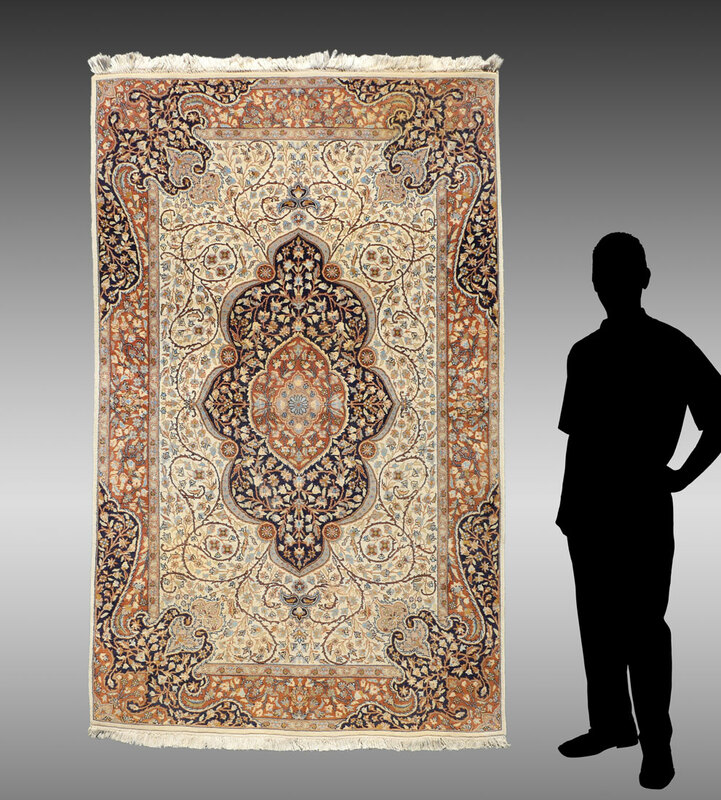 APPROX 20-40 YR OLD PAKISTANI-PERSIAN TABRZ PATTERN HAND KNOTTED WOOL RUG, 4'7'' X 7'3'': The ivory field of this rug is the background for a large dark blue, rust, and ivory central medallion. 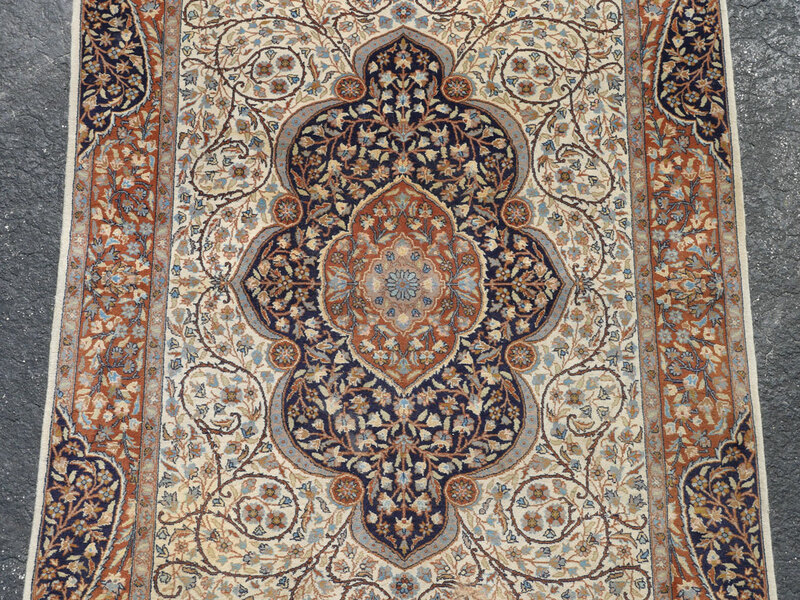 Both the field and the medallion are filled in with swirling vines with lots of leaves and a few flowers done in shades of brown, rust, blues, beige, and green. 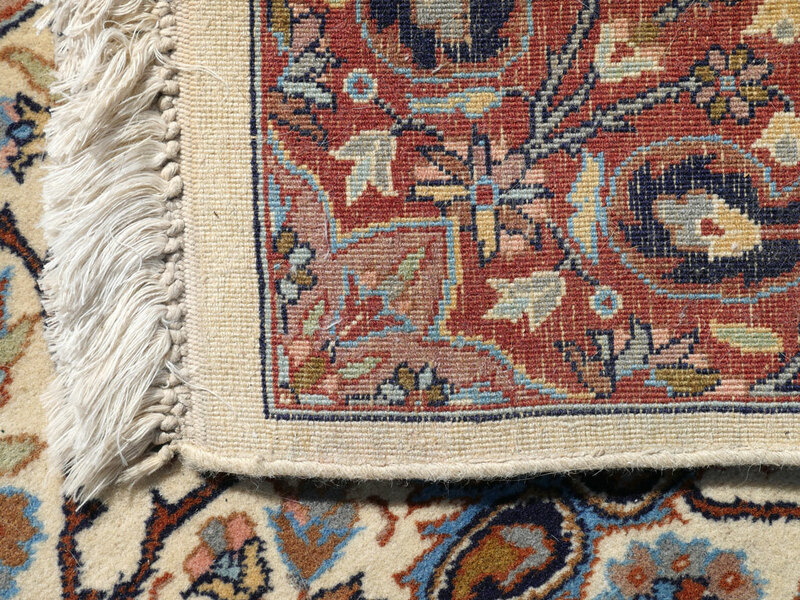 The corners and borders of the rug have a design that flows from one area into another, an interesting addition to the design of the rug.